Ignoring all the above (multiple tags possible) 73 bugs need to be fixed by Debian Contributors to get Debian 6.0 Squeeze released. However, with the view of the Release Managers, 136 need to be dealt with for the release to happen. The source? No, not some ideologist, not even someone involved in Debian. It's a comment about an update of a firmware package in Fedora. Ignoring all the above (multiple tags possible) 88 bugs need to be fixed by Debian Contributors to get Debian 6.0 Squeeze released. However, with the view of the Release Managers, 156 need to be dealt with for the release to happen. 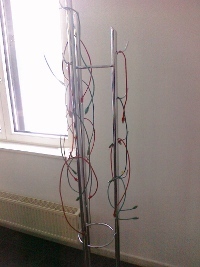 Counts as Christmas Tree .